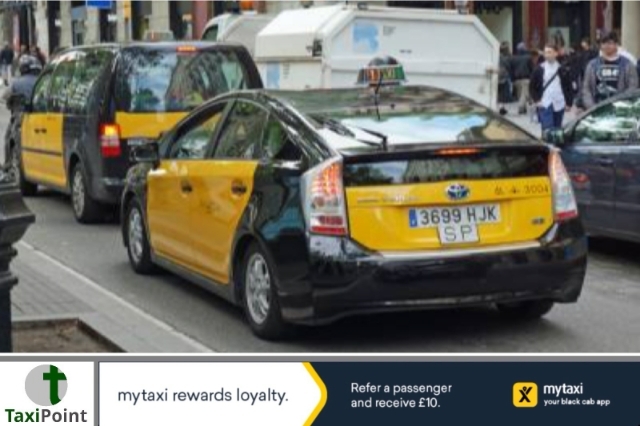 Spanish taxi drivers descended on Barcelona on Wednesday 25, in protest against the rising number of drivers operating under ride-hailing apps such as Uber and Cabify. Taxi drivers from all over Spain demonstrated their frustrations with the decision to suspend additional authorisation required for ride-hailing companies to operate in Barcelona, an agreement that would of seen a ratio of 30 taxi licenses for every authorised ride-hailing car. With the suspension of the agreement, the current ratio of taxi drivers to ride-hailing drivers is 6.7 to 1, which is likely to shorten if the agreement is not honoured. Thousands of demonstrators protested in front of the Arch of Triumph, lighting firecrackers and honking their horns. Drivers demand more to be done in the way of regulating ride-hailing apps which they say are taking away their living. According to a report in the Washington Post, Uber and Cabify have temporarily suspended services in Barcelona due to the protests which have seen some of their drivers being attacked. Cars were left with broken windows and wing mirrors, while two men were taken to hospital with injuries. To see the protest in pictures, click the link below. Reuters taxi drivers protest against Ride-hailing apps.